A knowledgeable Lhasa City Tour is necessary to understand Tibetan culture, history and customs. So as a local Tibet travel agency, Tibet Travel Expert provide you this culture theme Lhasa City Tour to know more about Tibet. Our friendly Tibetan tour guides will lead you to Potala Palace, Jokhang Temple and Barkhor Street. During their instructions, you can ask anything about Lhasa or Tibet and they will answer you patiently. As a responsible travel agency, we want to offer a real Tibet journey not just sightseeing but also sharing of knowledge. 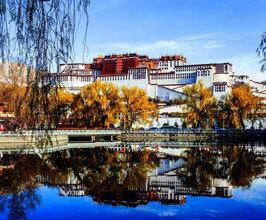 So join in our Lhasa City Tour now! Norbulingka, which means Treasure Garden in Tibetan language, is located in the west side of Lhasa, near the southwestern Potala Palace. It is the largest artificial garden in Tibet, covering an area of about 89 acres. As part of the "Historic Ensemble of the Potala Palace", Norbulingka is also recognized as a UNESCO World Heritage Site. Norbulingka, which means Treasure Garden in Tibetan language, is located in the west side of Lhasa, near the southwestern Potala Palace. It is the largest artificial garden in Tibet, covering an area of about 89 acres. As part of the “Historic Ensemble of the Potala Palace”, Norbulingka is also recognized as a UNESCO World Heritage Site. 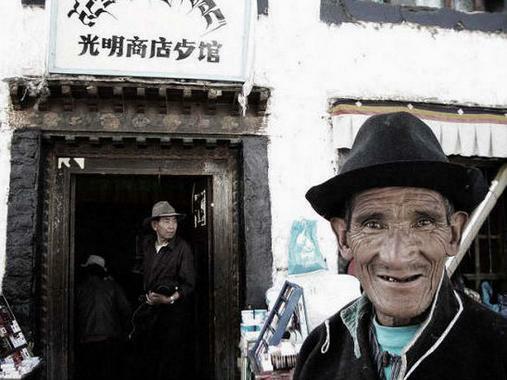 Barkhor,in some ways it could be compared to old towns of European cities however with a sacred pilgrimage track added to it.Taking a Tibet travel is an unforgettable experience in one’s life, the Barkhor Bazaar provides me a new lifestyle which makes me impressive.